DOWNSIZING | COMMUNITY ACTION ALLIANCE FOR NSW (CAAN): HOUSING INEQUALITY WITH AUSSIES LOCKED OUT! WHAT this Survey reveals to CAAN is that many Sellers are still unaware how this Housing Affordability Crisis was contrived … for a Whole Cohort of Australians to have been locked out … yet meanwhile where we live is being spoilt or even destroyed! PERHAPS this is because there is much SPIN being circulated! Especially by those with a vested interest! The role of the Australian LNP Government, the Big End of Town particularly the Developer/Property Sector and their extensive overseas clientele! With government policies written for those with vested interests! “Australians are also extremely sympathetic to the dilemma of first home buyers as 71% of the respondents believed the government is not doing enough to help this group of buyers. Over half of those who were surveyed even wanted to know the buyer of their property, with two out of three willing to offer a discount to first buyers. Nearly one in four people from this pool were comfortable to cut their property’s price by 5 to 10%. Mccan associated the thoughtfulness towards first home buyers with the capital gains these sellers had achieved in recent years. “The same group seems extremely aware of the effect the property boom has had on first home buyers and wants action to keep the Australian dream alive,” he said. There has been a concerted push by government and the Greater Sydney Commission to encourage seniors to “downsize” … what lay behind this? Could it be to free up more property for developers to build as many as 10 terraces on a suburban lot, townhouses and duplex? And to sell to overseas buyers? …. DOWNSIZERS risk losing some or all of their Age Pension! -though the Family Home is exempt from the pension assets test any home equity unlocked by downsizing is not! OUTSOURCING home maintenance costs may be cheaper than apartment strata levies! FRENCHS FOREST a bushland suburb bulldozed to become a Private Hospital Precinct! From the enjoyment of their quality homes on 700 square metre blocks surrounded by bushland residents have been shafted having lived through years of construction, roadworks and uncertainty over development and rezoning! Locals describe this as a “Nightmare”, an upheaval; no longer a peaceful family area! IT appears both Frenchs Forest and the Northern Beaches have been SHAFTED! Forest High is to be relocated for a new Town Centre! The one square kilometre school site will be replaced by 3000 apartments in buildings up to nine storeys high; no higher than 12 storeys. The school site is expected to make $250 – 300 M for the state government … a replacement school to cost $100M. The apartments are expected to bring younger home-owners with a push for older residents to downsize from their homes to make way for developers overseas sell-off. Within 10 years rezonings to allow townhouses and villas to add 5300 dwellings. With proposal for a rapid transit bus link from Chatswood to Dee Why via Frenchs Forest. Residents fears of the Forest turning into a Mini Chatswood, we believe, are well founded. If not why is a bus service proposed to connect to Chatswood? Why wouldn’t the workers be local to Frenchs Forest? When Julie Sutton moved to Frenchs Forest more than 50 years ago, her friends were dismayed. Developers had cut down so many trees that the grandly named Panorama Crescent, with spectacular views to the Sydney Harbour Bridge, looked like a quarry. Sutton, a school teacher who went on to be twice mayor of Warringah council, says transport was poor, there was no sewer, hardly any shops and only a few stark footpaths. *With the suburb expected to transform as much as any established Sydney suburb in the next decade, some residents will be living in a far different suburb than they moved into decades ago. As the trees grew back and more residents settled in, Frenchs Forest became a much more popular suburb for families. It had solid houses on handsome 700 square metre blocks surrounded by bushland. The community was friendly, the schools were good and there were beaches and horse-riding nearby. There was even a drive-in theatre. It was a slice of middle Australia where people who grew up there often wanted to stay and others returned when they had children; a suburb that barely seemed to change over the decades, even as the Skyline drive-in became the Skyline business park. On her first day teaching at The Forest High School – where famous former students include Tim Farriss, Kirk Pengilly and Garry Gary Beers from INXS, David Koch and Bill Leak – another teacher asked Sutton to round up kids who were smoking on “the hospital land”. Fifty-three years on, the $600 million Northern Beaches Hospital is finally opening this month and Frenchs Forest is being transformed. With 488 beds, it promises a new era of healthcare as the replacement for the ageing Manly and Mona Vale hospitals. But for residents who have lived through years of construction, roadworks and uncertainty over development and rezonings, the most common phrase to describe what has been taking place is “nightmare”. “It’s not a family area any more,” one long-time resident, psychologist Ivana Grkovic, says in her lounge room. While hoping the chaos settles down when the hospital opens, she is thinking of moving to a quieter part of the suburb near her three children’s schools. Bob Rose, a retired builder who has lived in the same house for 56 years, would have been happy to take “the big bickies” from an expected rezoning that has not happened. “Where we are is a nice little spot but they’re trying hard to destroy it,” he says. Few established suburbs are expected to change more in the next decade. An announcement is due soon about the relocation of Forest High for the construction of a new town centre. Within five years, it is expected an area of one square kilometre will have 3000 apartments in buildings up to nine storeys high. But first comes the hospital opening. *Dr Messara expects there will be about 2000 patients, staff and visitors at the hospital on a typical day, including 70,000 visits to the emergency department a year. It will be similar in size to Royal North Shore Hospital. State Health Minister Brad Hazzard, whose electorate of Wakehurst includes Frenchs Forest, says the hospital has put the suburb on the map. Mr Hazzard says residents have gone from not believing there would ever be a hospital to asking what the suburb will be like when it’s open, with the Northern Beaches Council having to focus on creating what’s being called a “strategic centre” for the northern suburbs. “The council has been working very hard to try and strike the right balance but maybe the right balance is completely the wrong thing for somebody else,” he says. Living nearby, Mr Hazzard has been frustrated by the slowness of the road works to service the hospital. “The roads have been a shocker,” he says. “Frenchs Forest Road East and Frenchs Forest Road West and the ancillary works are all now finished. The next stage for Frenchs Forest includes the town centre. The mayor of the Northern Beaches Council, Michael Regan, expects work to begin within two years, depending on the timing of the sale of the Forest High site and construction of a multi-storey new school on a large car park next to Warringah Aquatic Centre. While the Education Department is coy about details, locals expect the site to sell for $250 million to $300 million, with the new school costing something like $100 million to build. “There’ll be no building higher than the current hospital, which is 40 metres,” he says. *The arrival of apartments is expected to bring younger home-owners – many of them working in the area – and allow older residents to downsize from their houses. Planners believe that, within 10 years, rezonings to allow such medium-density developments as townhouses and villas will add 5300 new homes and 2300 new jobs to current levels. *But Cr Regan says these extra numbers can only come with a rapid transit bus link from Chatswood to Dee Why via Frenchs Forest and construction of the politically contentious Northern Beaches Tunnel, which would link Balgowlah to the Warringah Freeway. While a so-called precinct plan that was scheduled to go on public exhibition early this year is yet to emerge, Cr Regan believes the state government will be ready to act quickly on rezonings when it is eventually released. The council sees all these extra jobs coming from the hospital, medical services drawn to the area, shops, hotels and other new businesses. There are already plans for one new hotel on the site of the Parkway Hotel. While some residents fear the plans will turn the suburb into “a mini Chatswood”, Cr Regan disputes that. “100 per cent disappointed it’s taken this long”: Northern Beaches Council mayor Michael Regan. Cr Regan says the council has been having “positive discussions” with the state government about the proposed rapid transit bus service that he believes would cost about $3 million for buses every 10 minutes, seven days a week, based on fare revenue of $3.5 million to $4 million. Dr Messara expects more medical services and other businesses to move into Frenchs Forest. “Whenever you have a facility of this size, other services are drawn to the surrounding area,” she says. Already staff say they need more childcare and Dr Messara believes the suburb will need more accommodation for people requiring recurring medical treatment, hospital visitors and staff on rotating shifts. It could have been a million-dollar windfall. 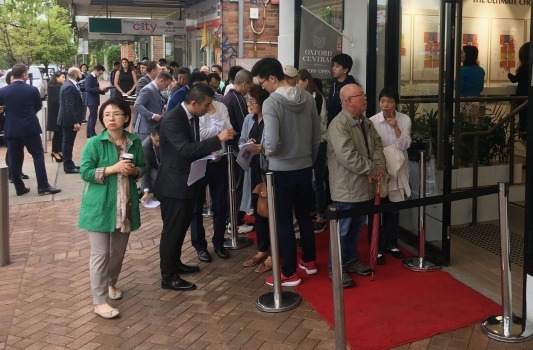 Two years ago, a group of 62 home owners in Frenchs Forest banded together to sell their houses collectively for almost $200 million. They were planning to cash in on an expected rezoning by selling their houses near the new hospital as one parcel for medium-density homes or medical centre development. The thinking was that rezoning could double or even triple the value of their homes. The chairman of the consortium, David Tomlinson, estimated they could get more than $3 million for each house at a time when the average price, on Domain data, was $1.35 million. * To September 26 in 2018 Domain data shows a marked slowdown in house sales during hospital construction and road works amid uncertainty over rezoning and future development. 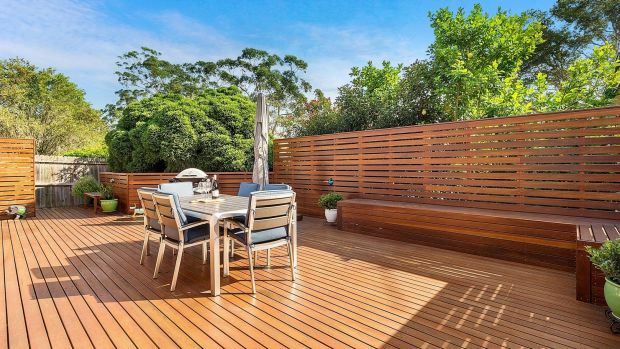 Agent Matthew Ramsay called it the largest consortium of home owners he had seen in Sydney. But the windfall never happened. The consortium fell apart when they discovered their area would not be rezoned in the near future – with planning focused on a new town centre on the site of The Forest High School instead – leaving many home owners disappointed, frustrated and angry. “We were shocked,” Mr Tomlinson says now. “We felt like we’d been shafted to be honest and that the decision was made to suit the government, not to suit the residents of the area. With the consortium wound up, Mr Tomlinson says most home owners have decided to stay – at least for now. 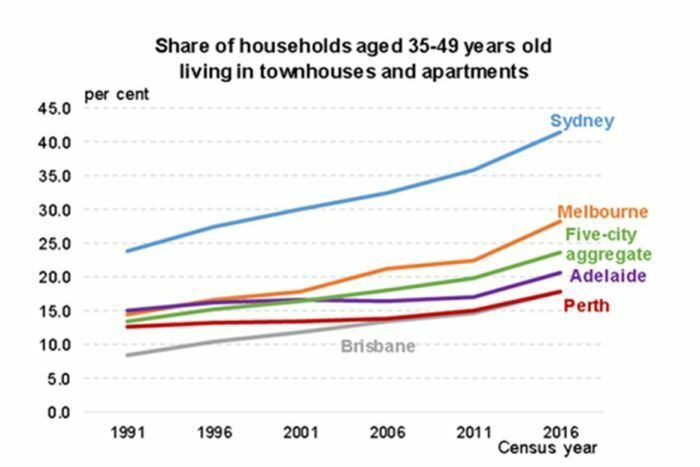 IS this falling into the hands of the developers, real estate agents and even some academics who are out there blaming “older Australians” for aiding and abetting our housing crisis? VIEW: Are Older Australians to Blame for Booming House Prices? When will the Media be able to tell the truth? IS this about pushing the idea of DOWNSIZING to suit the motives of others, promoting the redevelopment of the family home for medium and high-density housing? AS for the TINY HOUSE idea … it is cute but imagine an older person trying to access a loft bed area? BESIDES, it seems it was designed to accommodate only ONE (1) PERSON, again the assumption is older Australians are ‘on their own’ maybe they are, in other ways, with others hell-bent on marginalising them, and getting their hands on their assets! 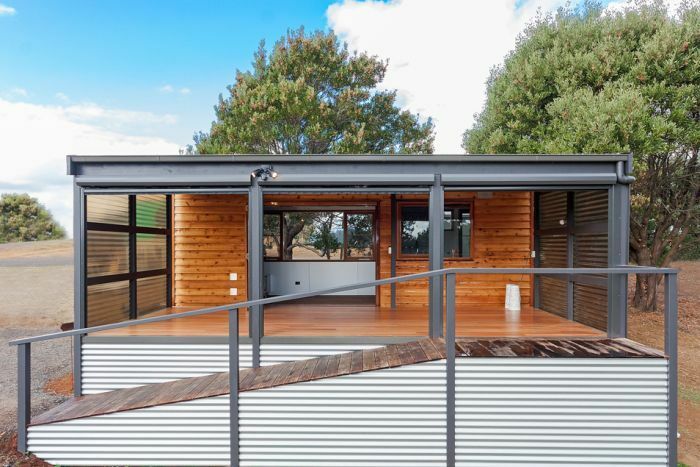 While Australia reels from stories of malpractice in the aged care sector, perched petitely in regional Victoria is a house that could serve as an alternative model to a retirement home. It’s Merle’s house — her tiny house, to be precise. “I’m 82 years old and I can manage this easily, and I don’t have to depend on carers,” she says. Merle moved into the tiny house earlier this year, and she hasn’t looked back. Roughly 7 by 2.5 metres in dimension, her light-filled residence sits on her family’s country property. But Merle’s home is completely self-contained, and it’s tailor-made to suit her specific physical requirements. It has an entrance ramp leading to the home’s veranda, assistive bathroom rails in the shower alcove and touch-open cupboard doors. There is underfloor heating and a hydraulic bed that she can raise with the press of a button during the day — revealing a couch underneath. All for a price tag of around $150,000. “I love the living, I love the warmth. I’m warmer here than I ever was in Queensland,” Merle says. Chris Wenban — who isn’t of retirement age — also lives in a tiny house, next door to Merle. She runs a tiny house construction company and, along with her business partner, built both homes. 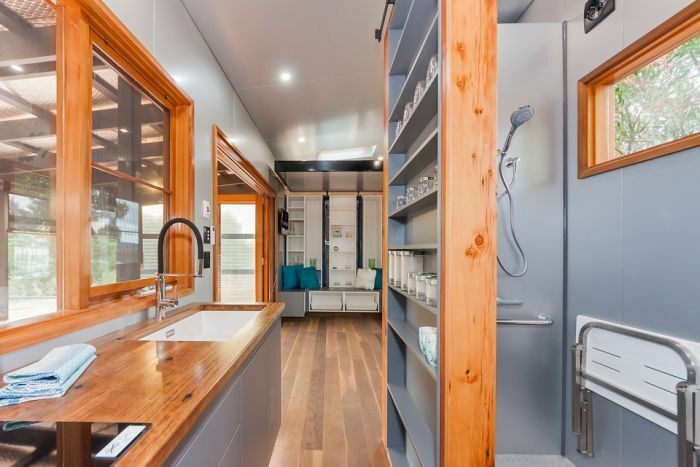 She says she became “quite obsessed” with tiny homes for primarily environmental reasons, which eventually prompted her to move into one herself. “I like efficiency. I like the idea of not having as big an impact on the environment and not having to spend as much money on housing,” she says. She says there’s a common misconception that a tiny house is a just a fancy caravan. But there are major points of difference in a tiny house. “The look and the feel and the sense of space is completely different,” Ms Wenban says. She sleeps in a loft that’s around a metre high. Her three-metre kitchen is full-size, as is her gas oven, and a “little, secret table” can be pulled out to make an office space. She has a composting toilet, with solids that are emptied every three months into a nearby compost bin. 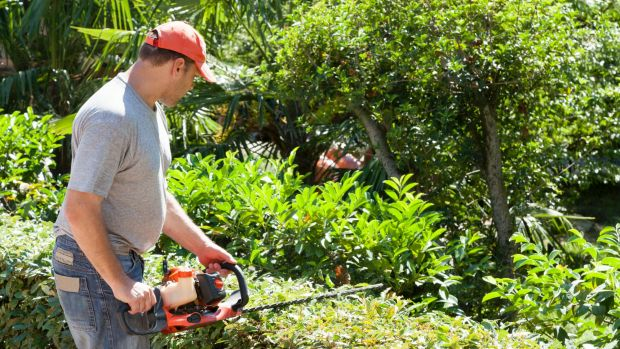 Nasty pathogens are then killed off over the course of a year, before the resulting fertiliser is spread onto the garden. “Most people advise putting it on fruit trees and not on your vegetable garden, because you don’t want to have that conversation with your dinner guests,” Ms Wenban says. Both women’s houses are in Kinglake West, facing a ridge where, nine years after the Black Saturday bushfires, lifeless trunks are a grim reminder of how many people lost their lives in the small community. 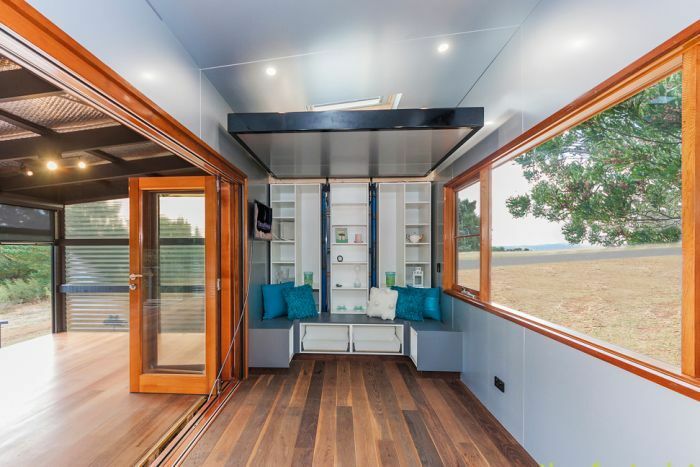 In this context, a tiny home on wheels offers benefits that extend beyond sustainability. “We permanently have a vehicle on site that will be able to pull the tiny houses out,” Ms Wenban says. “Because they are on wheels, you can do that. She says tiny houses are advantageous not only in the event of bushfires, but flooding too. Ms Wenban has taken her tiny constructions to home shows and farming expos, and says she’s surprised by the demographic of potential buyers she meets there. “I would say about 20 or 30 per cent of those people are older people, either looking for themselves for the future [or for their] elderly parents,” she says. Tiny houses allow older people to live independently from a main household, but close to people who can keep an eye out for them. “For a lot of people who get older it’s not [that] they need a high degree of care or that they can’t live independently anymore,” Ms Wenban says. Rather, “two or three small things start adding up”, she says, like needing a stair-free home, or someone to monitor medication or a proper diet. She believes these things alone “aren’t necessarily a great reason to go into an old people’s home”. Ms Wenban says Merle is an example of someone successfully opting for a tailored tiny home over accommodation in an institution. “Merle’s very independent,” Ms Wenban says. “She has a separate physical space and it’s hers and people have to knock on the door when they come in. “She continues her lifestyle as she normally would, getting up when she wants, eating when she wants, eating what she wants, and has very much that sense of independence. But if Merle needs a hand with a meal or to be run down to the shops, help is easily accessible. Plus, says Ms Wenban, “it’s often good for your mental health when you’re around family, people who are going to check on you regularly”. She believes we’ll see more living arrangements like Merle’s in the future. “As councils realise that this is an alternative to people going in to old people’s homes, I think it will become more recognised, permitted and accepted,” she says. NEITHER SHOE-BOX APARTMENTS NOR DODGY BUILD TOWNHOMES MEET AUSTRALIAN STANDARDS! The lobby has rewritten NSW Planning Laws to rezone where we live for higher density along with complying development. EMAIL YOUR OBJECTIONS TO YOUR LOCAL MPs; demand rectification of Australian Standards in Home Building! 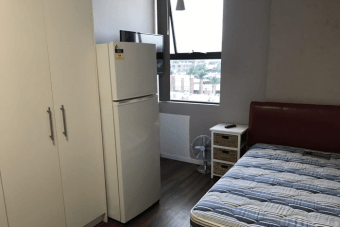 The tiny inner-city apartments built during the boom of the past decade are unlikely to meet the needs of Generation Y as they grow older. 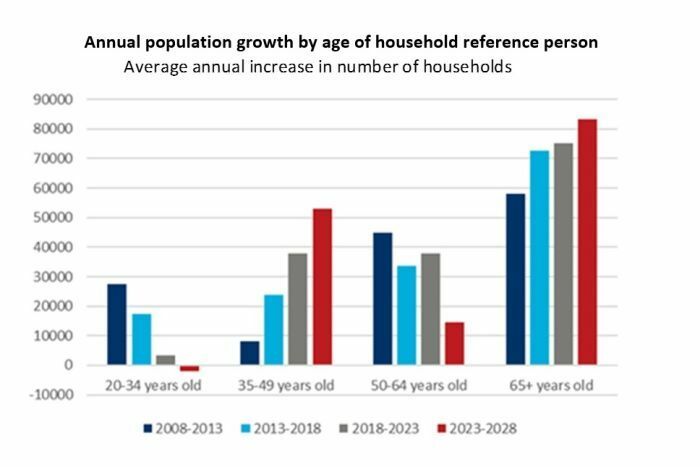 Changing demographics over the next 10 years are tipped to drive demand for smaller dwellings — but not that small, according to BIS Oxford Economics. The economic forecaster has crunched the population numbers and concluded that rapid growth in the 20-to-34-year-old age bracket over the past 15 years will see Generation Y, or millennials, shape the residential property market over the next decade. As Generation Y move into their late 30s and 40s and are more likely to be living in family households with children, they will need to balance convenience and affordability with home ownership and the separate dwellings typically sought after in that life stage. 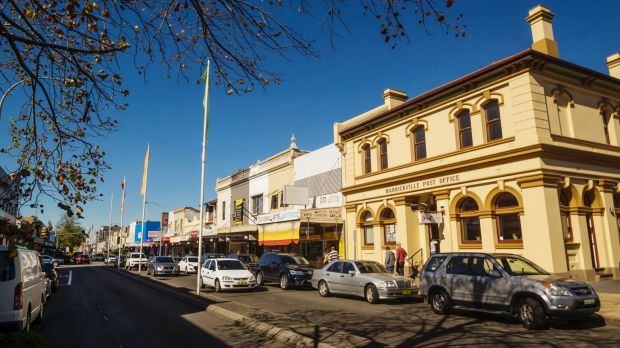 “For people who would like to remain in the inner or middle suburbs, that’s going to be financially out of reach, so they’ll be looking for something that offers more amenity but will be at a more affordable price,” Angie Zigomanis from BIS Oxford Economics said. Investor demand has seen apartment construction boom — particularly in Sydney, Melbourne and Brisbane — but Mr Zigomanis said the studio, one and small two-bedroom apartments that are attractive to Generation Y as they rent in their 20s are unlikely to hold the same appeal as they age. He is projecting increased demand for medium-density housing including townhouses, larger units and villas with at least three bedrooms. Outdoor spaces, such as courtyards and rooftops, and more space inside, will also be in demand — something he said has been missing from the apartment market over the past decade. Unit boom heading for a bust? 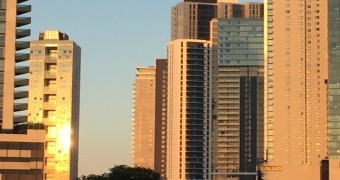 The apartment blocks soaring above capital cities look like heading into oversupply, and that means prices will fall. BIS Oxford recently sounded an alarm over the residential building market, tipping the biggest fall since the GFC, led by a slump in high-density dwelling construction. The large-scale, high-rise developments that sell apartments off the plan to investors do not hold the same appeal to owner-occupiers. Mr Zigomanis expects those coming up behind Generation Y to continue to demand high-density apartments for rentals, but says growth will not be as strong as it has been. “There’s not going to be the need to build as many new apartments as we have been,” he said, noting the next generation is a similar size to Generation Y. “Their preference will be towards two and three-bedroom townhouse-type dwellings as well, similar to that being demanded by Gen Y. Demand for medium-density housing is not as easy for developers to meet — apartment sites go up, but townhouse and villa-style developments require going out. Disused industrial land or replacing detached houses on larger lots with multiple units could be a solution, according to Mr Zigomanis. THE PUSH continues for older people to downsize and it is total B.S. WHAT “the push” is about is opening up another market for developers to redevelop housing estates lived in by older residents … to flog off 100 per cent overseas. BEFORE “Selling Out” to downsize ensure that there is a market of suitable dwellings available for sale on the local Australian market! YOU don’t want to be forced into buying an unsuitable property! Or just anything! THE “agent speak” here is of the competition for downsizing between cashed-up Seniors and First Home Buyers … however, in reality the buyer competition is from overseas. -DOWNSIZING & MORE ABOUT THE PROHIBITIVE COSTS OF DOWNSIZING BESIDES STAMP DUTY! 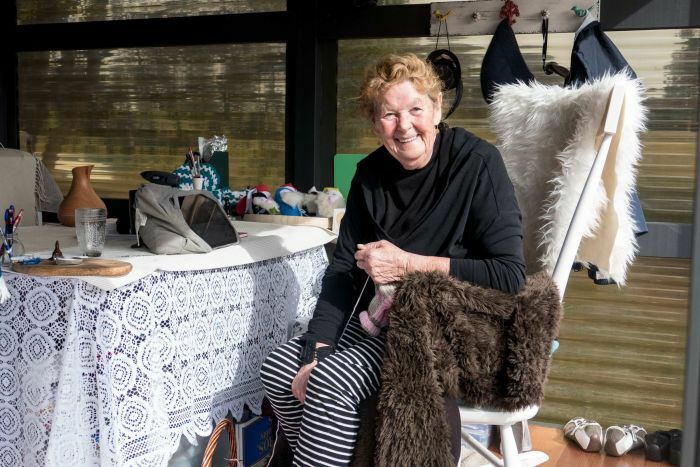 Downsizers have become a major force in the real estate market, with the combination of an ageing population and peaking property prices leading many empty-nesters to trade their properties for homes better suited to a low-maintenance lifestyle. 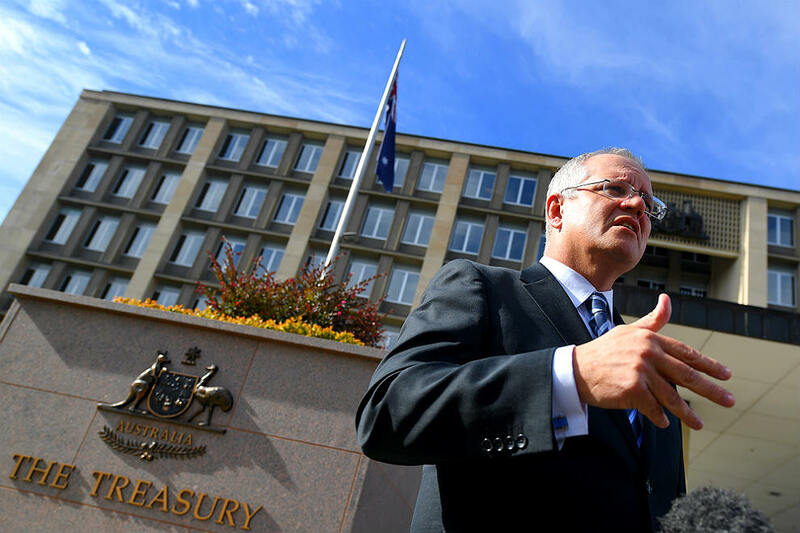 Government incentives announced last year allowing eligible homeowners to contribute up to $300,000 from the sale of their home to their superannuation are expected to cause a wave of downsizing when the measures come into effect in July. For buyers seeking a low-maintenance lifestyle, not just any small home will do, and some properties are more suitable than others. Which type of property is best? Single-storey villas are the most sought-after properties for downsizers, according to founder of Property Mavens Miriam Sandkuhler. These compact properties are easier to maintain, and the walk-up entry and single-storey layout makes a villa an ideal property to transition to from a house. A villa can prove a better investment than buying into a retirement village, while providing the same community feel. Ms Sandkuhler said while townhouses offered a low-maintenance lifestyle, and are often found in desirable locations, the fact that rooms are spread over two to three levels can mean the property won’t be suitable in the long term. Large three-bedroom apartments can provide enough space for those moving from a big family home. But for these properties to appeal, ample storage and secure parking are essential, according to Ms Sandkuhler. Buyer’s agent Janet Kayes said while apartments required less maintenance, strata fees could be more expensive than the cost of outsourcing tasks in a house, such as gardening. Owners of apartments may also be forced to pay special levies for unexpected significant repairs such as lifts or roofs, which can erode retirement finances. While villas are normally strata-titled, fees are usually low as there are few common areas or expensive pieces of equipment to maintain. Some villas are torrens-titled and have no ongoing fees. Ms Sandkuhler said “a small house that has a very small yard or courtyard to care for” could provide a happy medium for downsizers, provided it was positioned in a desirable area. Moving to a new area at the same time as downsizing can be risky, according to Ms Kayes. She said buyers often find a new suburb doesn’t stack up to their expectations, which can be problematic for those who regret their purchase. “They come back and want to buy back in the area they used to be in, but the market has moved,” she said. Ms Sandkuhler said properties should be ideally situated close to doctors, chemists, public transport, existing social networks and family. She said the key for downsizers was finding their ideal home in their current area, but she said suitable properties may see significant competition, as first-home buyers and downsizers may be vying for the same type of property. 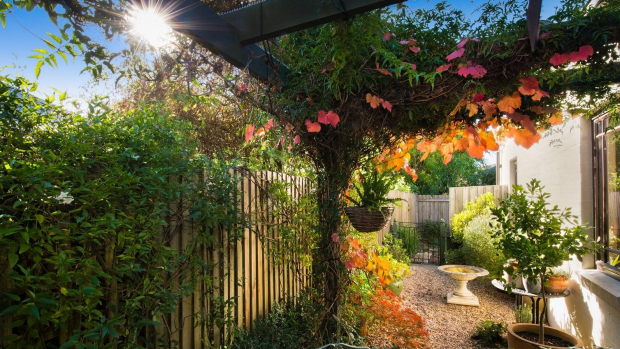 Swapping a large family home for a smaller property can be a way to free up funds for retirement, especially for those with relatively low superannuation balances, according to Ms Kayes. Ms Sandkuhler said the attachment many people have to their homes can make the process challenging. “If you’ve been in your own home for a long time but you’d prefer not to move, but if you simply can’t maintain it, it’s really emotionally difficult,” she said. But buyers who feel they are forced to downsize to fund their retirement may have been given an opportunity to age in their own home, with measures outlined in the federal budget allowing all homeowners over 65 to access equity in their homes. This would allow homeowners to access up to $11,799 per year from the equity of their homes, reducing the need to sell up to fund retirement. Ms Kayes said older homeowners shouldn’t feel pressured to downsize just because their children have moved away. “If they can stay in their own environment and have as much support as possible, I’d recommend that,” she said.